When I first heard of the contest, I found it hard to believe that anyone would put up such a great prize to offer creatives a chance to dramatize the debt crisis. Most people don’t want to think about debt or the dangers it holds. Wars and environmentalism have attracted most of the attention of creative people in our culture–and not usually for a good result. But when you consider what debt can do and has done to nations throughout history, we’d be fools to not recognize our country’s solvency as the single greatest issue we face today. In my piece, I wanted to not just show how bad the problem is- which is in itself a noble effort since 15 trillion is hard for most to comprehend–but I sought to convey how we got to this point, and our choices moving forward. I feel the squirrel allegory allows people to absorb the story unguarded, not pointing fingers at any one political party. I wanted to reach independents, conservatives, and liberals. Our debt, after all, belongs to all of us. I’m grateful that Power Line and the Freedom Club saw the need to summon creative minds on this issue, and honored to have been picked as the winning entry. 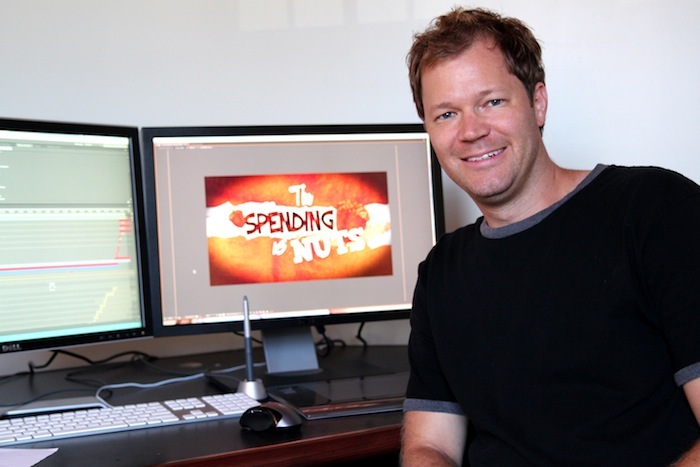 I created “The Spending is Nuts” at my post-production studio in Los Angeles using Adobe Illustrator/Photoshop CS5 for the illustrations, Final Cut Pro 7 to edit, and Adobe After Effects CS5 for the animations. Dale Inghram provided the narration while Chris Jagich supervised the musical score. Congratulations to Justin and thanks to all of the more than 200 people who entered the contest! Special thanks, too, to our expert panel of judges: Hugh Hewitt of The Hugh Hewitt Show; Glenn Reynolds of Instapundit; Marcheta Marshall of Stanford and the Stanford Review, Mary Katharine Ham of The Weekly Standard and Fox News; Roger Simon of Pajamas Media, Alexandra Johnson, Andrew Breitbart of eponymous fame, John Ondrasik of Five for Fighting, and me. Check out the judges’ favorite videos and songs at http://youtube.com/thepowerlineblog.